ATV damage on the trail to Gull Lake. Photo by Phil Brown. 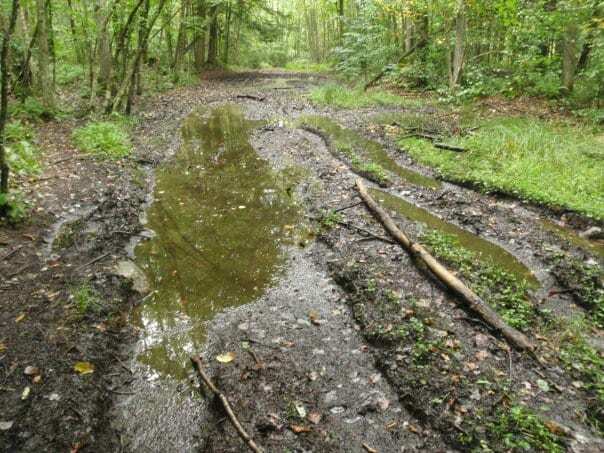 The first time I hiked to Gull Lake in the Black River Wild Forest I was appalled at the damage to the trails caused by the illegal use of all-terrain vehicles. That was more than ten years ago. This past Sunday, I went for a morning run on these same trails and discovered that nothing has changed. The photo above shows just one of numerous mud swales I encountered on my eight-mile jog. Not only do the machines create giant mud puddles, but they also double, triple, or quadruple the width of the trail in places. 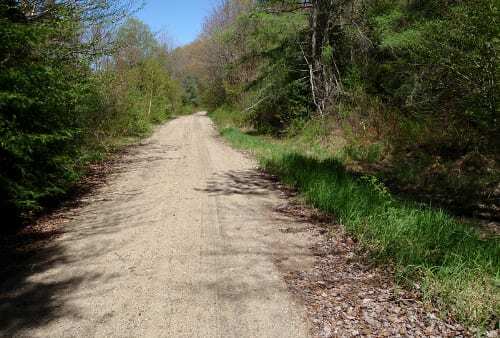 It’s a shame, because these trails in the western Adirondacks are otherwise a pleasure to walk or jog. They’re mostly flat and follow old roads, ideal for people with kids or people who aren’t interested in climbing mountains. 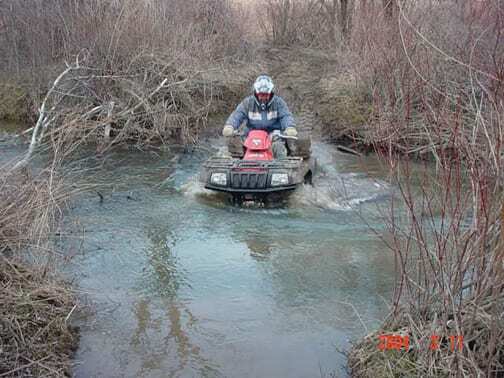 Whatever the state is doing to protect the Forest Preserve from ATV trespass, it isn’t working in the Black River Wild Forest.